Website concierge on free online learning games web site for autistic children. 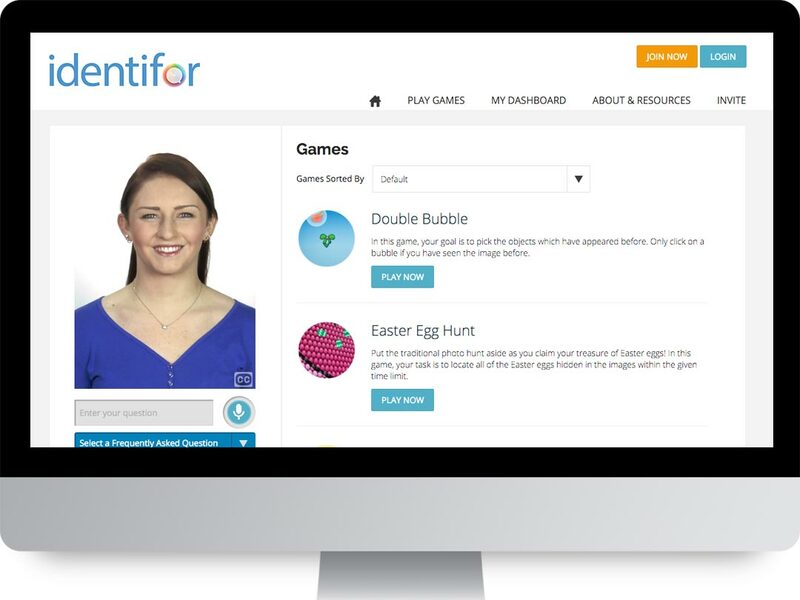 Identifor uses a series of carefully-designed free online learning games to uncover an individual’s unique skills, abilities, and interests, specifically children diagnosed with autism. To help parents understand the power behind the site’s technology and coach kids on how to use it, Identifor needed a way to “bridge the gap” between the technology and the people using it. The True Image team worked hand-in-hand with Identifor to create a custom avatar that leads visitors through the site, calling attention to important information and walking them through the sign up process. Given the complexity of the research behind Identifor, the human avatar has been extremely beneficial in educating parents of autistic children on how the tool works and how their child can benefit.